One of the newest features of Weight Watchers in 2016 is their introduction of a new Mobile Application named “FitBreak“. 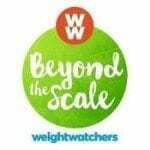 This is a part of the program that works as a part of the Beyond the Scale program. This is a feature that encourages people to stay active and healthy while coming up with new ideas to lose weight. Weight Watchers has incorporated FitBreak into the program as a means of improving upon older apps and to help them seamlessly with proper eating, dieting, and exercising in their weight loss journey. The FitBreak program will help people to do more and feel active in their lives without struggling with what physical activities should be followed.. The Beyond the Scale program in association with the FitBreak app helps people learn about new forms of exercise. It uses a series of minute-long videos to help them see what they can do to stay active. These include videos relating to new exercises, everyday routines and so forth. The details in these videos are rather specific and will help people get the most out of their workout needs. The videos listed here are rather varied in that there are more than seventy of them for people to use. These videos include options that can work towards the individual objectives that the program uses. Specifically, the program encourages people to work towards viewing enough videos and engaging in their exercises over the course of the day. When used properly alongside a standard food control routine, this will ensure that people will do a little more with their bodies. Where Can I Download the FitBreak App? How Has This App Improved Over Older Apps? 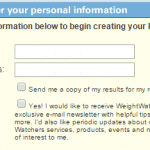 The program itself has improved in recent time to where it will be integrated with other Weight Watchers apps. These include many apps that offer information on what foods need to be consumed during the day. These fitness features even work with general social features relating to community features like interacting with people and getting in touch through meetings. 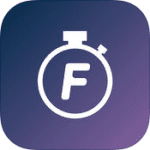 The FitBreak app is an improvement over what Weight Watchers used to have. The problem with the old Weight Watchers program is that it was not good enough with regards to keeping information organized and intact. This was especially the case with regards to how many people lost their information in the old app as it kept on breaking down and losing peoples’ data. This was especially problematic during the 2015 Thanksgiving season when it was in high demand. Overall, the Weight Watchers FitBreak app is an evolution in the program that is better than anything people have gotten in the past. The app helps Weight Watchers members learn about how to be physically active and ready to take on whatever it is they want to do over time. The details listed in the app will especially be to the advantage of all people who want to stay comfortable and get a little more out of whatever people have to work with.